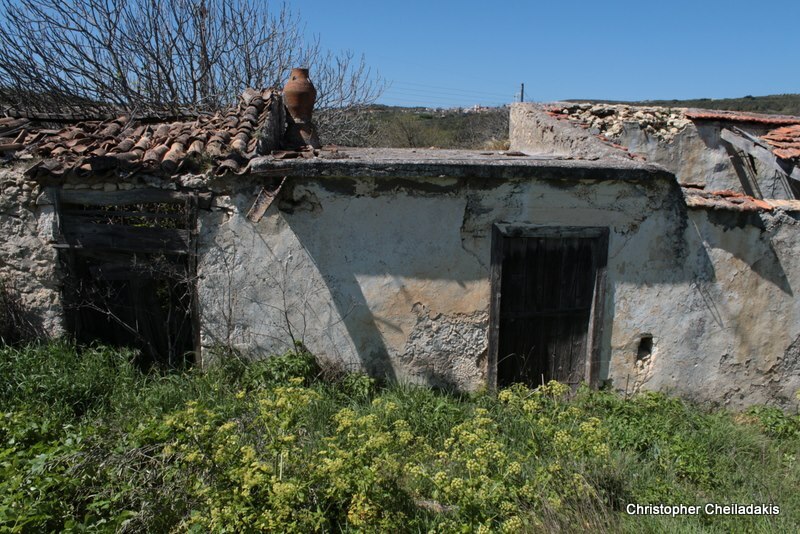 Shortly after the village Mousouta there is the deserted village Handrou. This is another unknown beautiful Cretan village that once throbbed with life but today looks haunted, with only one resident. The village is situated in a prominent location with beautiful views and is surrounded by two streams. There is the two-aisled stone church of the Holy Apostles and St. John the Theologian. A few yards north of the chapel lies the old village fountain with the troughs where the women washed their clothes. Nearby, there is a lush green stream with plane trees and gardens. The stream is a tributary of the River Kassaniotis, which in turn is a tributary of Anapodaris. The name of the village possible originates from the first settler calles Handras and there is a report (since 1577) with the name Chandru. During the German occupation it played a very important role and was a rebel hideout. Because visitors do not usually find anybody here, in the center of the village there is a sign that tells “Here Chandras”.